I am very fortunate to be a part of Connie Fitzgerald's downline. Although she doesn't benefit from my sales, she is still always available and positive. She is also our event organizer. 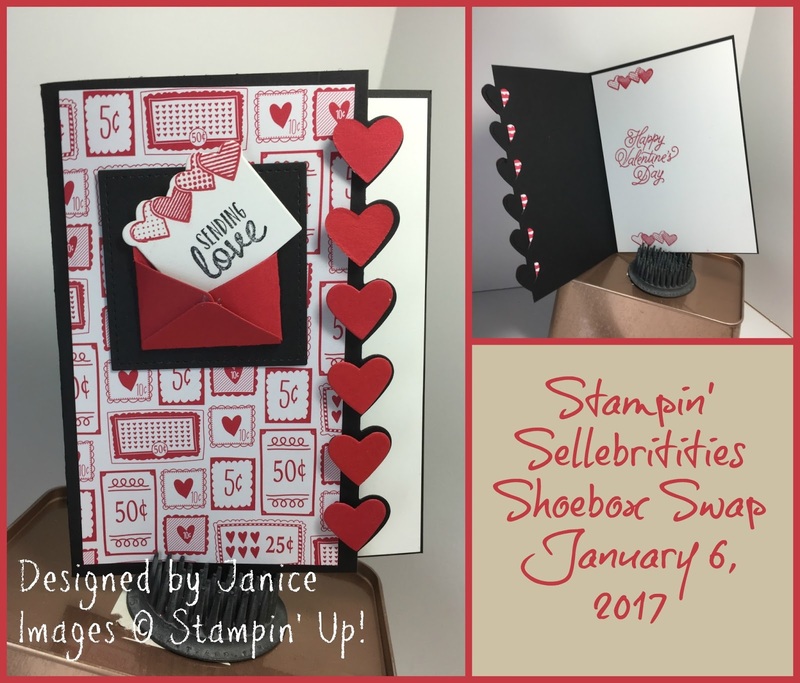 When there's a Stampin' Up! event, she gathers us together as a team. 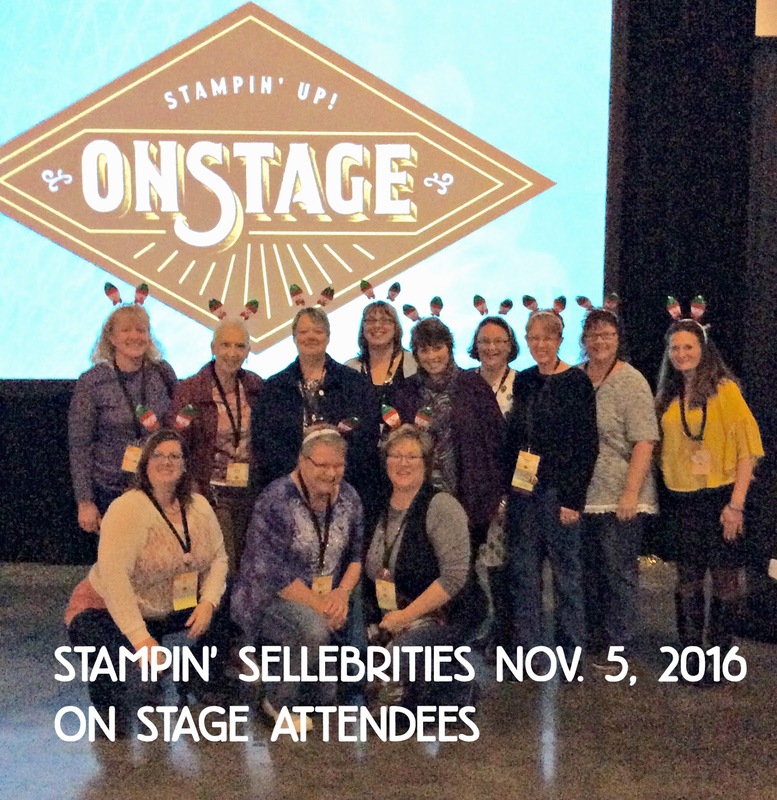 At November's OnStage event, another demonstrator and I started talking about wanting to make more samples in a swap, but actually make some of them to get our hands on the new stuff! Liz and I and sent around a sign up and we started planning a Demonstrator Shoebox Swap, which means that each of us designed a card or project and brought the materials for each of us to recreate it, prepped and ready to go. We then had pizza, sat around and chatted, and started stamping! 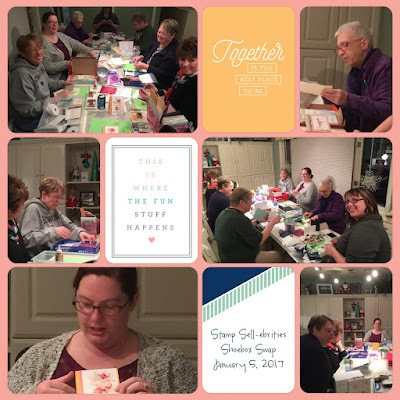 So much fun packed in one evening! Stamping and creating with people that are now lifelong friends is my favorite reason to be a Stampin' Up! Demonstrator. 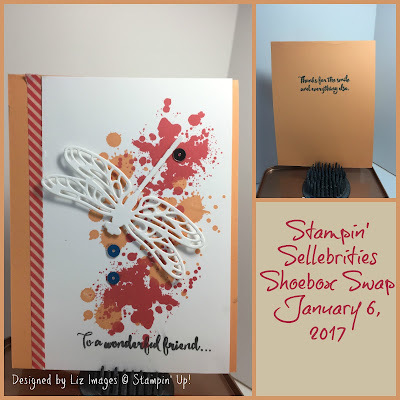 I am going to show you the Shoebox Swap projects we made first. I made each of these following the guide card of the demonstrator who prepped it. Simply Stunning! Well, not simple at all, actually. The fold is a twist easel fold. I hadn't made one before, but the structure is definitely one I am going to copy in the future! Patrice designed this quilt card full of Real Red and Whisper White Layers. The Sending Love Designer Series Paper Pattterns is perfect for this kind of card. The designs are small enough to really show off in this card. Liz designed this card and the colors aren't showing up like they should. She used Gorgeous Grunge for the background in Peekaboo Peach and Watermelon Wonder. The white dragonfly " pops" on this background. The sentiment is also in Basic Gray, which gives the card a cool tone. AND see that striped Washi Tape? 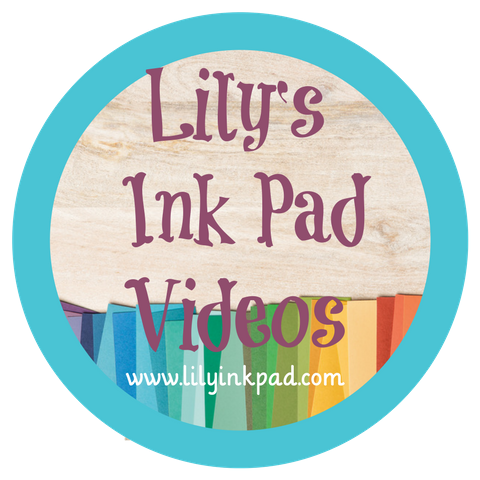 It's from the Tasty Treats Designer Series Washi Tape! Such a great example of Stampin' Up! 's coordination of products. 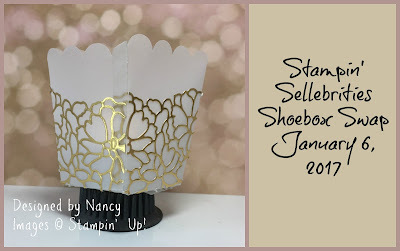 Nancy created this cute little votive holder. Vellum paper and Gold Foil cut with the So Detailed Thinlit Dies. So very beautiful! 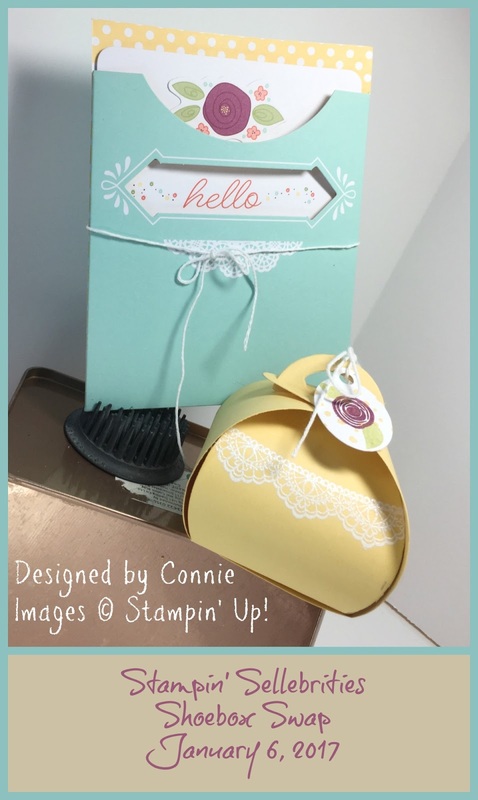 Connie opened up her Pretty Pocket Card Kit, available as a FREE item with a purchase of $50. She also made a coordinating Curvy Favor Box. HOW CUTE IS THAT! 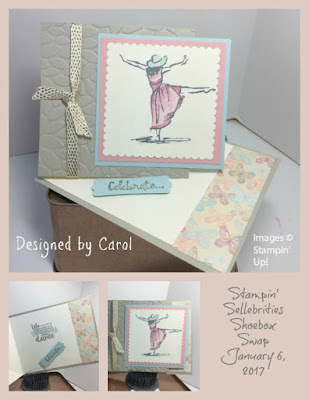 The Delicate Designs stamp set of the fancy lace makes this box perfect. Simple and cute. I love it. 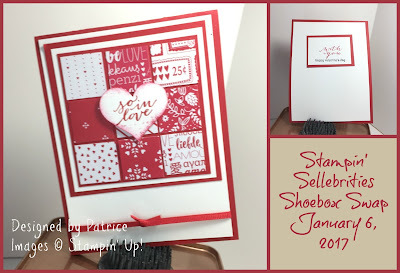 This card highlights the Love Notes framelits. The heart edge is easy to use. Janice saved us all time by pre-cutting the 6 hearts per card for us. I love the paper on this one as a base and we also used the Stitched framelits for black square. My photo just doesn't show it. Plus, isn't that envelope darling? I'm saving my project for later, but you will see it soon. If you want to be a part of this group, you can sign up to be a demonstrator right now during Sale-a-bration for extra perks! 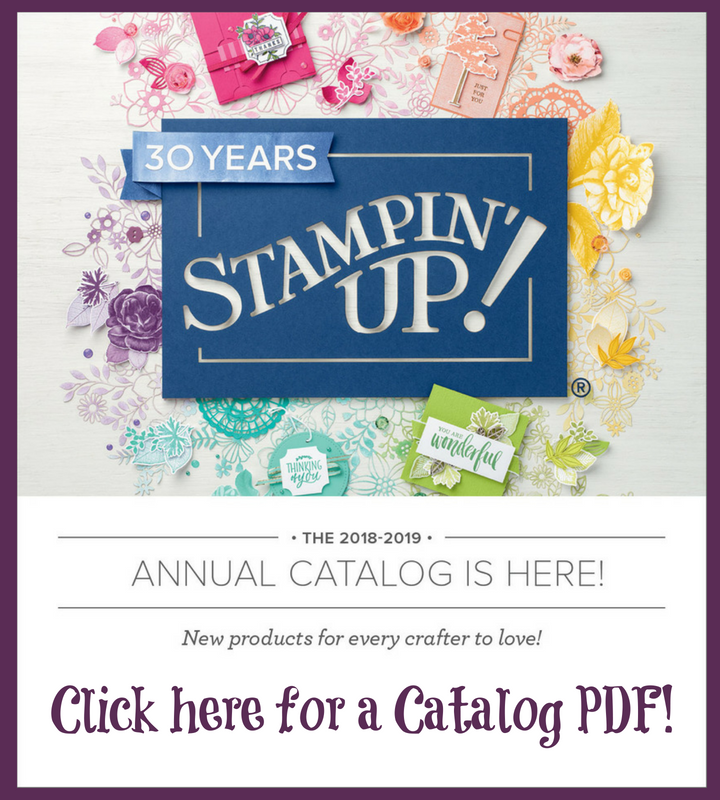 Basically, for your $100, you are getting $125 worth of product plus 2 free stamp sets! 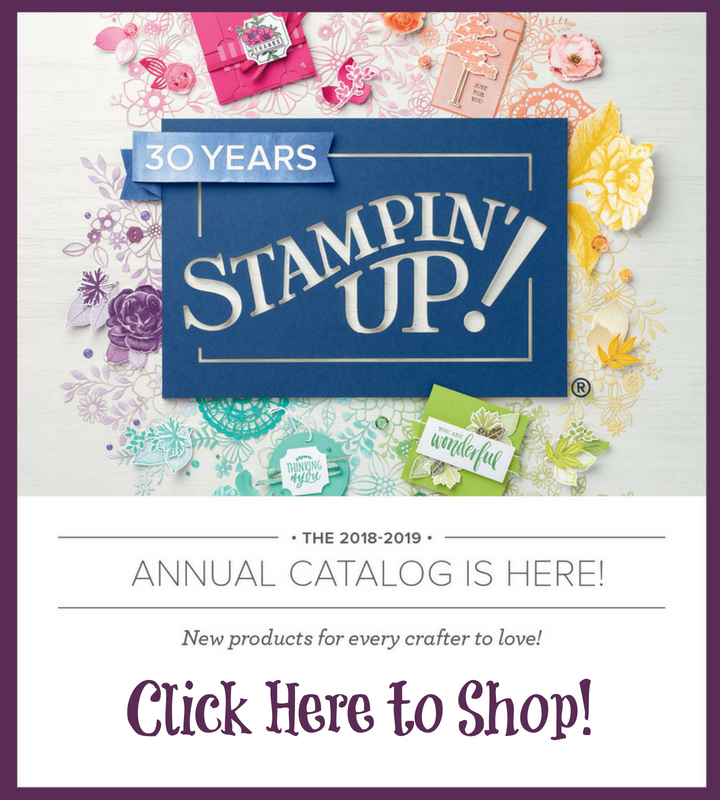 Plus, the opportunity to run your own creative business and earn 20-30% off Stampin' Up! purchases!